The Chalkboard's environment is one of inquisition and discovery. Our school is committed to a setting of safe, positive, and child-directed learning. The Chalkboard's curriculum is based on play experiences and hands-on discovery that fosters every child's physical, social, emotional, cognitive and language development. The Chalkboard believes in creating an innovative and individual plan for each child's education that will reinforce their strengths and engage them in learning that will encourage confidence in exploring new ideas. The Chalkboard works diligently to tailor activities that include children of all developmental stages and those who need special accommodations. 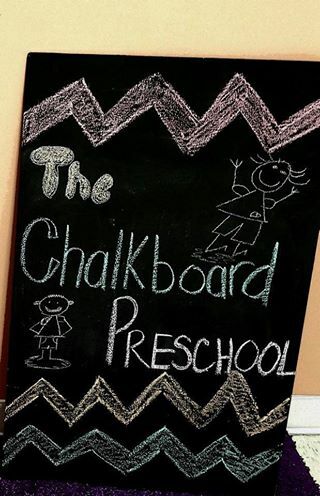 The Chalkboard prides itself in being able to provide families with a private school education at a practical price. Our school provides quality education and care not only to our children, but to their families, as well! Parent education in the form of workshops and information as well as community resources and referrals will be available to families.